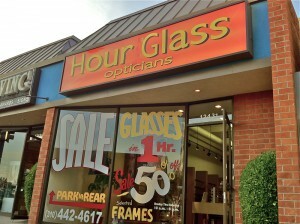 Hour Glass Optical: Specializes in high-end glasses, sunglasses, and contact lenes at affordable prices. Stop by today and see the difference! We have an "in store" lab of skilled optical technicians that can fill your prescription and/or create customize lenses for any frames in less time then it take to grab a coffee. Our full service lab features: The latest in the state of art technology In-House custom drilling In-House custom tints We do any customization necessary! We're a family owned and operated business that specializes in high-end products and providing you with the best service possible. 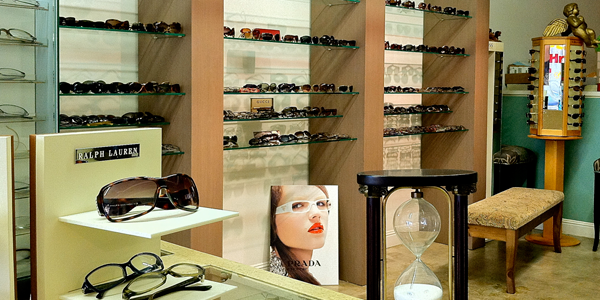 We have over 28 years of experience in the eyewear business, and are more than happy to do custom work that other opticians won't. 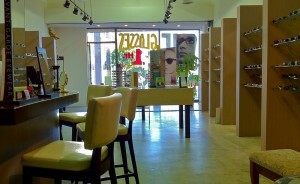 Stop by today and see the difference!...More. Hour Glass Optical has the largest selection of brand-name eyeware on the westside. We have an “in store” lab of skilled optical technicians that can fill your prescription and/or create customize lenses for any frames in less time then it takes to grab a coffee. Our fast and friendly service will have you back on your way and seeing clearly in no time! 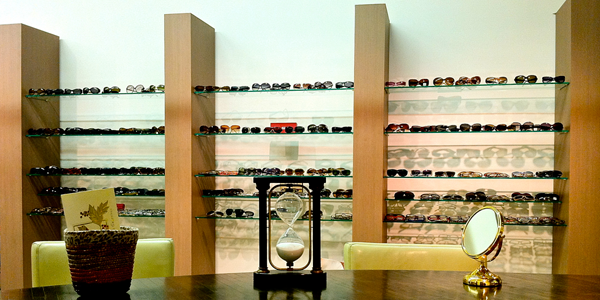 Our showroom features over 1800 sq/ft of the most sophisticated, modern and unique frames imported form all over the world. We have been for around for over three decades because we know what our customers are looking for. 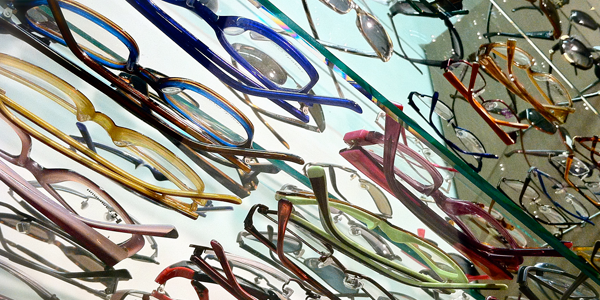 Our experienced no-pressure staff help you find a pair of eye-glasses / sunglasses that you’ll love and you look great in… this is what we love and we do best, but you can’t see how great you look in our unique selection of personalized frames online (at least not yet ;-)… So, come on in and we’ll make sure you leave happy and looking great.